Atilim University became the only Turkish University which participated in Begin Lingua Tour organization held in St. Petersburg and Moscow, Russia on 18-19 November 2017 with the participation of more than 15 countries. The organization let us observe that the prospective students visiting the fair were quite willing to study abroad. Therefore, our Directorate aims to carry out more promotional activities for the international students who will come from Russia to Turkey for higher education, and increase the number of Russian student at our University. 3 Turkish universities, including Atilim University, participated in a2 International Education Fair organized between 21 – 25 November 2017 in Casablanca, El Jadida and Rabat, Morocco. 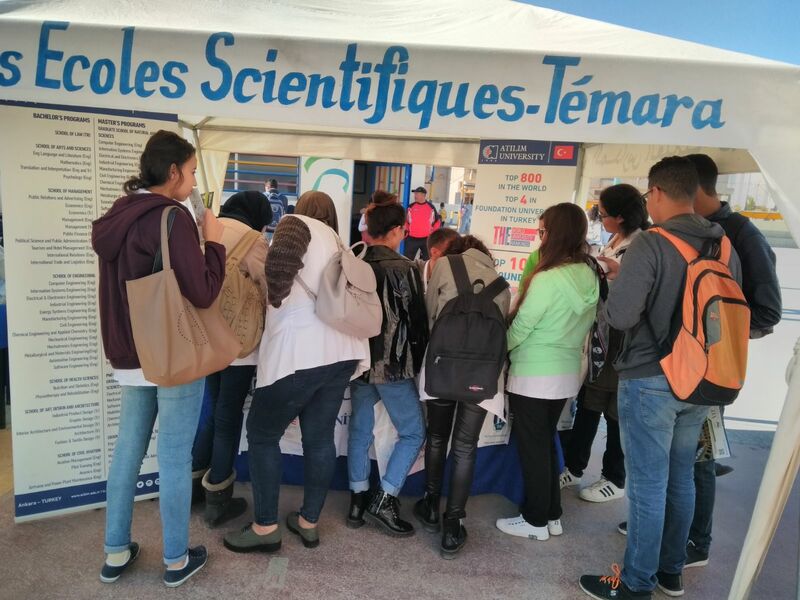 Our representatives promoted our University to the students of state high schools, private high schools and vocational high schools and made interviews with the prospective students attending the general fairs in el Jadida and Casablanca. In addition prospective students, our directorate contacted with the international education agencies and received information with regard to student provision from Morocco. With the first fair experience in Morocco, Atilim University laid the foundations of the initiatives to make use of the high potential regarding getting higher education in Turkey. We found an opportunity to meet our expats in Cologne, Germany and Brussels, Belgium by participating in the student fairs organized by TRUCAS between 24 – 26 November 2017. We promoted both Turkish higher education system and our University which drew remarkable attention in the fairs. Along with the International Relations Directorate, the University's Career Planning and CO-OP Coordinator İpek Tekdemir informed the parents regarding the future of their children.